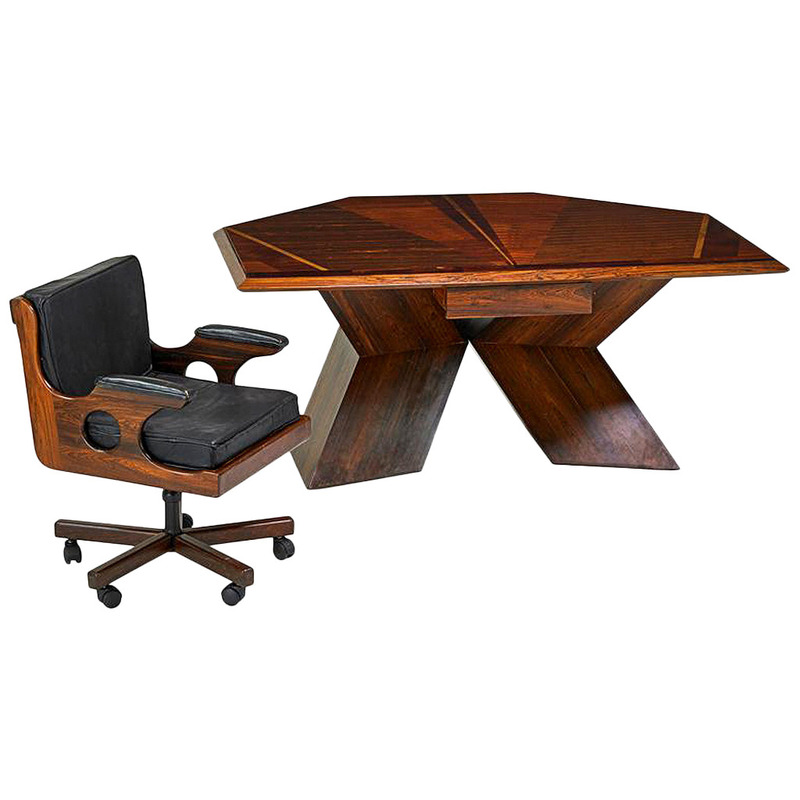 A diamond desk and a matching armchair designed and made by Don Shoemaker in Mexico, circa 1960s. Made from solid Mexican rosewood cocobolo, the desk features a patchwork top surface with contrasting light wood inlaid lines, supported by diamond shaped legs and completed with one center drawer. The chair has casters and black leather cushions. It swivels and tilts. 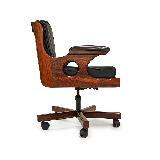 Both pieces display expressive rosewood grains and warm patina and command a great presence. 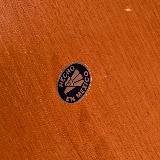 Hecho en Mexico label.rnMeasures: Desk: 30 1/2" x 69" x 50", chair: 34" x 24" x 28".